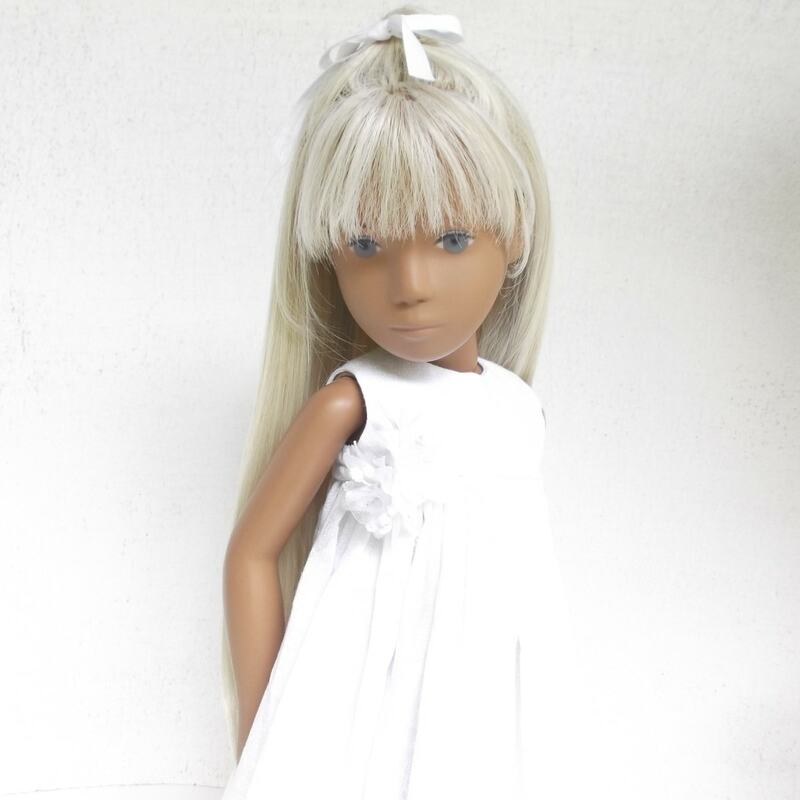 This early 70´s Sasha Doll had a few bumps along the way in her little life, so it took some time to clean her up, sort out a few stains and buff down quite a deep scratch to one of her hands, but all came good in the end. 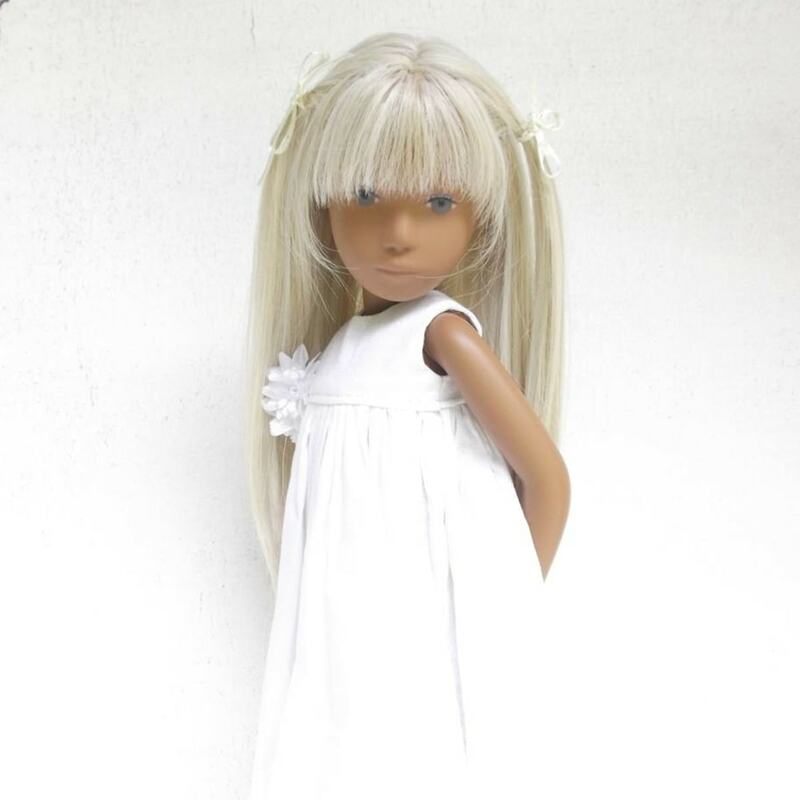 With her original hair badly chopped and dry, I decided to re-root her with slightly lighter tones of blonde to enhance her deep grey-blue eyes with a scattering of under-tones that I think works well with straight hair. I named her Flower because she had beautifully blossomed from her make-over, where of course, I decorated her accordingly after her namesake. Beforehand, Flower had far too much fringe, so I lightened it up a little, kept the length long for her to wear high ponytails and just gently curled the ends under. 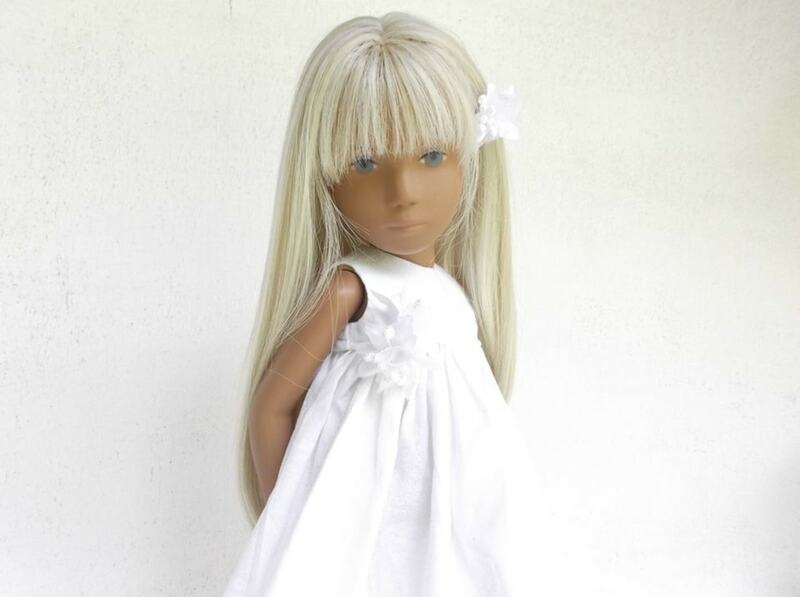 I dressed her in a simple white frock I made, adorned with a flower to one side of the waistband, where she looks prettily romantic, particularly with a blossom in her hair. However, what l love about this style is how different Flower can look with her hair scooped up in a modern style as can be seen with her wearing the little red jacket. I pulled a few shorter strands down to soften and frame her face, but the overall effect suits her really well.